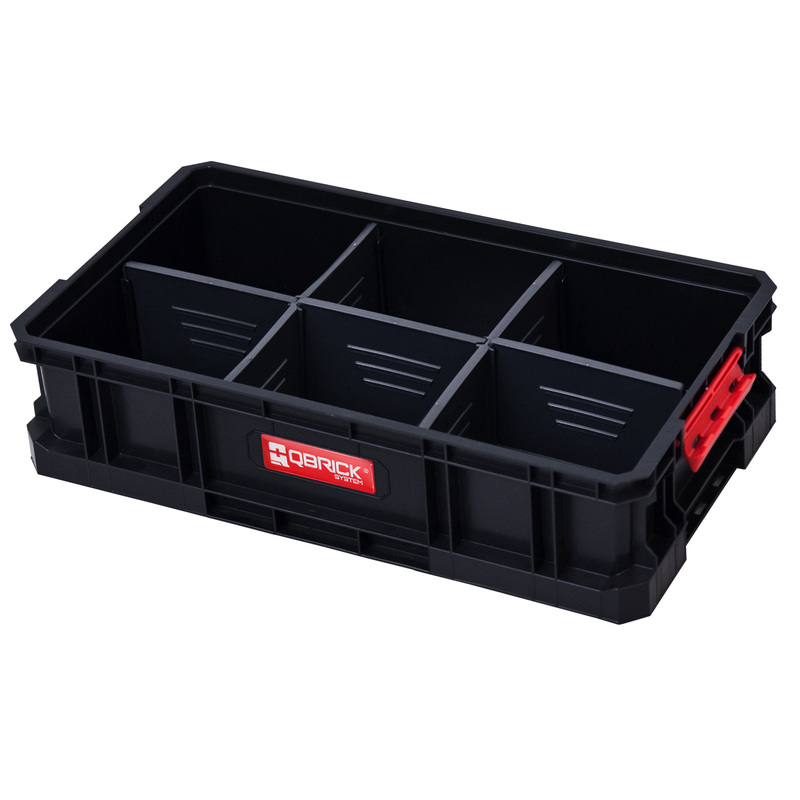 Modular, durable Box to transport the hand tools, construction materials, but also for storing eg. different items from the garage at the back of your house. 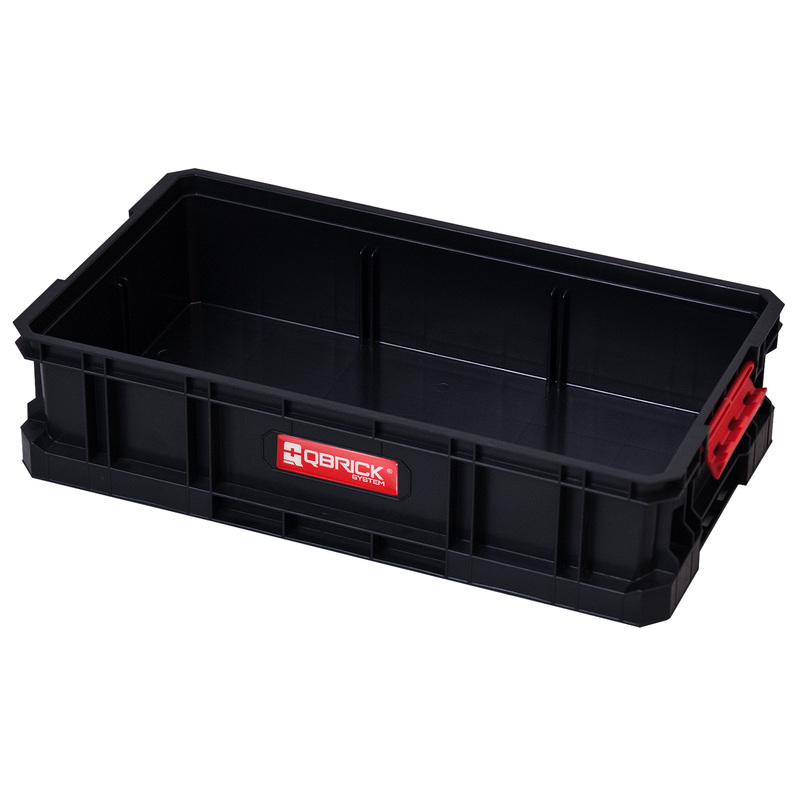 Boxes in conjunction with the Transport Platform with Qbrick TWO line form a mobile storage up to 100 kg. 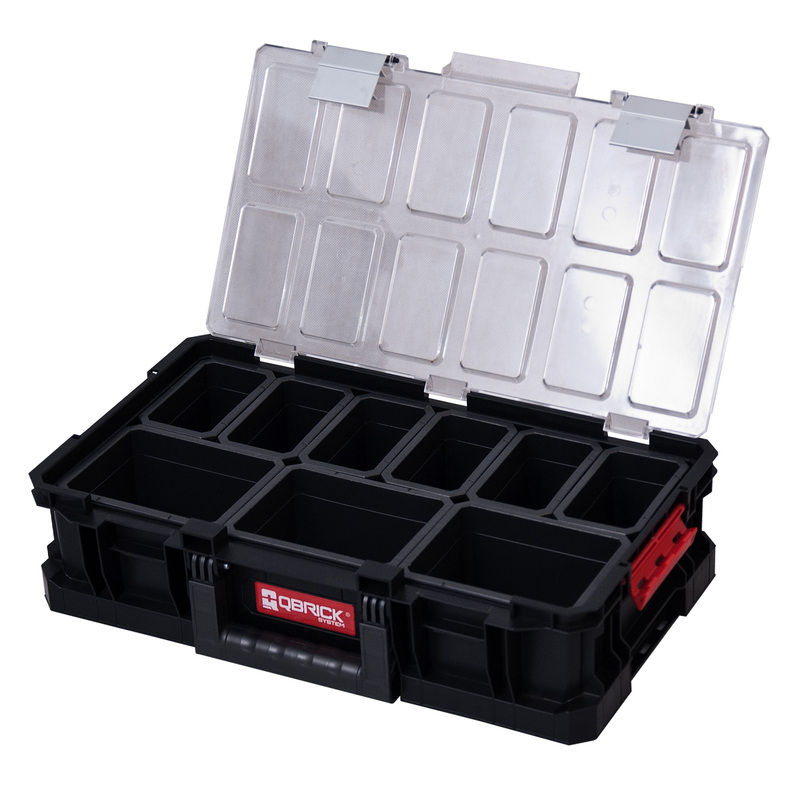 Universal Box for tools and everything else. 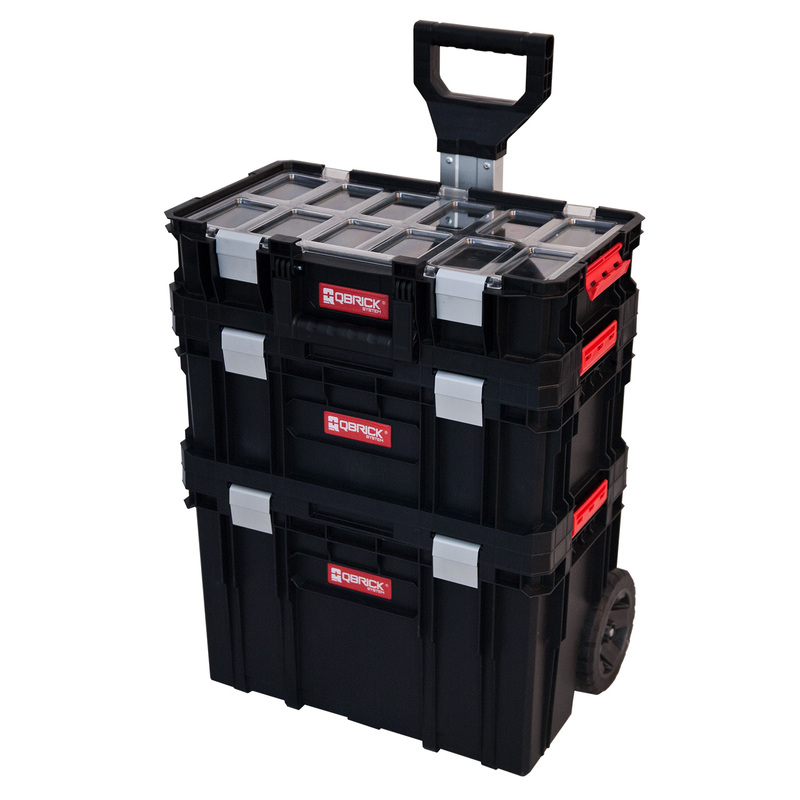 Modular, durable Tool box to transport the hand tools, construction materials, but also for storing eg. different items from the garage at the back of your house. 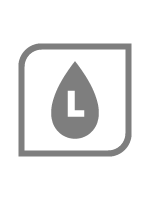 In the Flex version Box is equipped with 5 adjustable dividers, allowing for easier adjustment of the space to suit your needs. 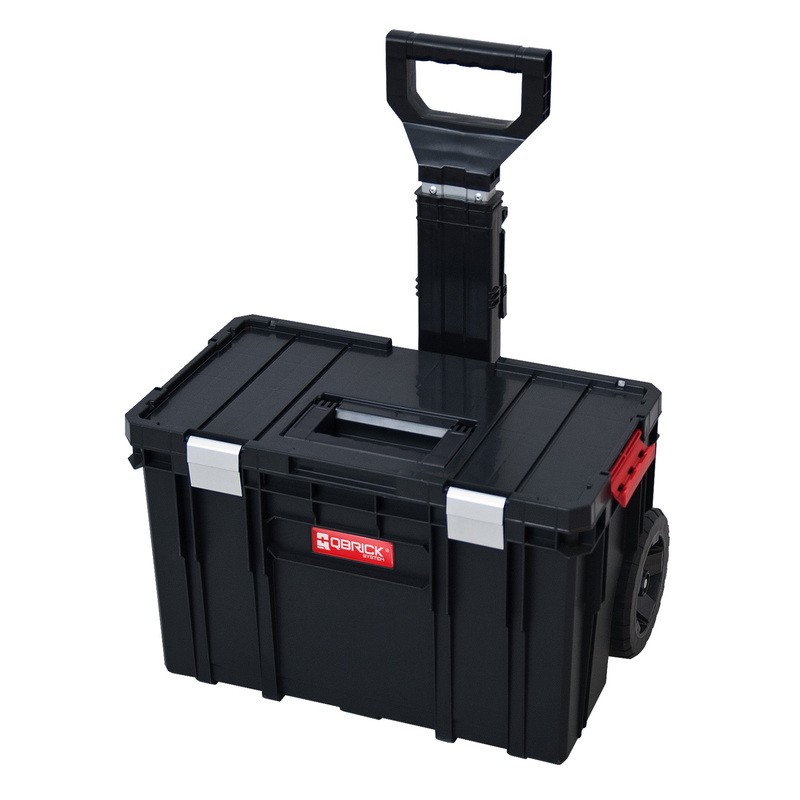 Modular Box with increased capacity it's perfect choice to transport the hand tools, construction materials, but also for storing eg. different items from the garage at the back of your house. 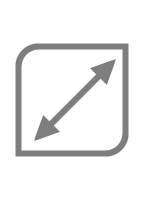 In the Flex version Box is equipped with 2 adjustable dividers, allowing for easier adjustment of the space to suit your needs. 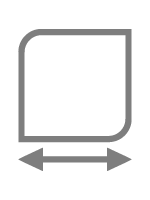 The modular organizer for smaller accessories. 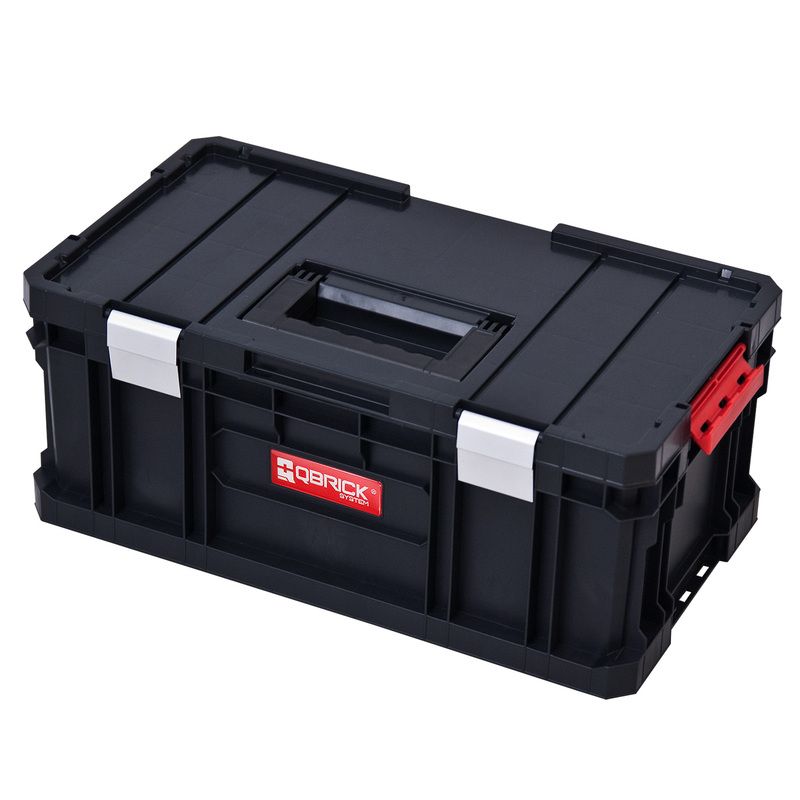 Polycarbonate lid, aluminum latches and strong handle ensure security and comfort. 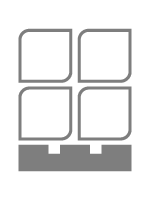 Organizer with 12 containers. 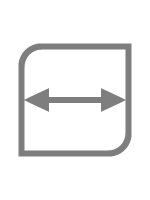 The modular organizer for smaller accessories. Polycarbonate lid, aluminum latches and strong handle ensure security and comfort. Organizer equipped with 5 dividers. 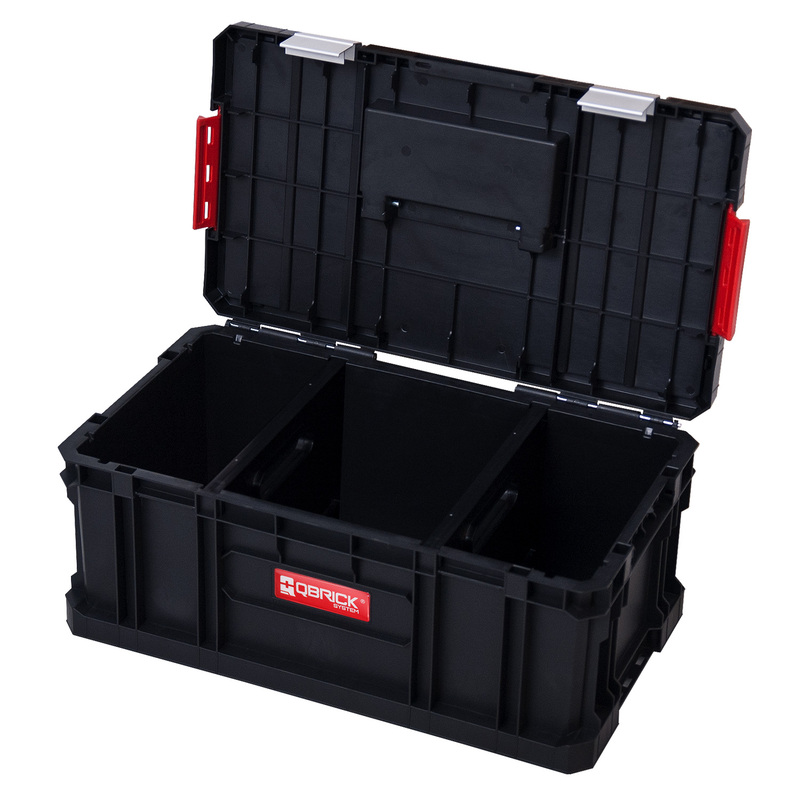 Modular, durable tool box with aluminum latches and a solid handle. 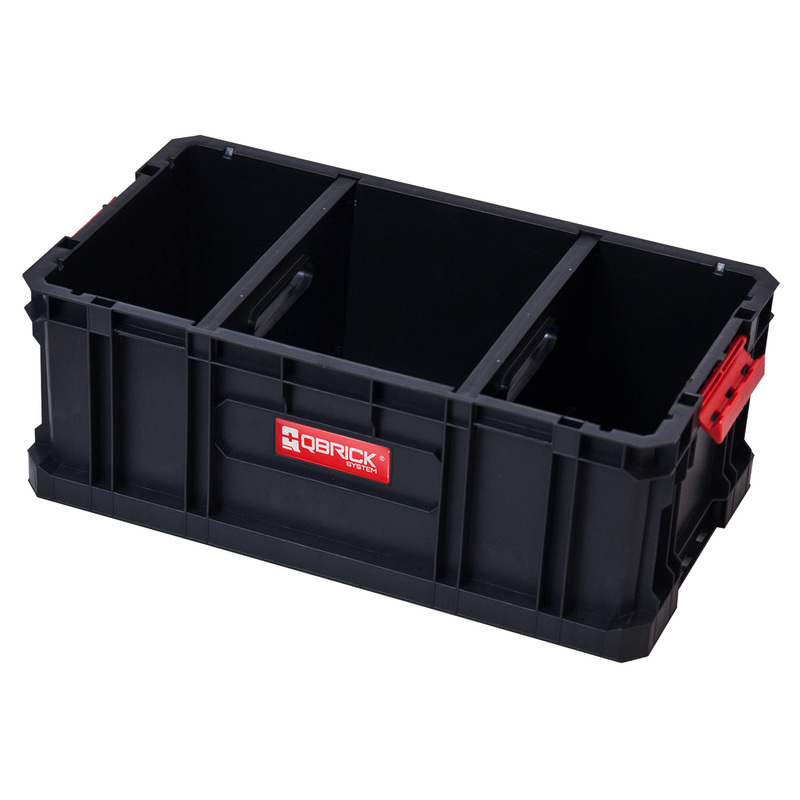 Large capacity and two adjustable dividers provide comfort store of variety tools. 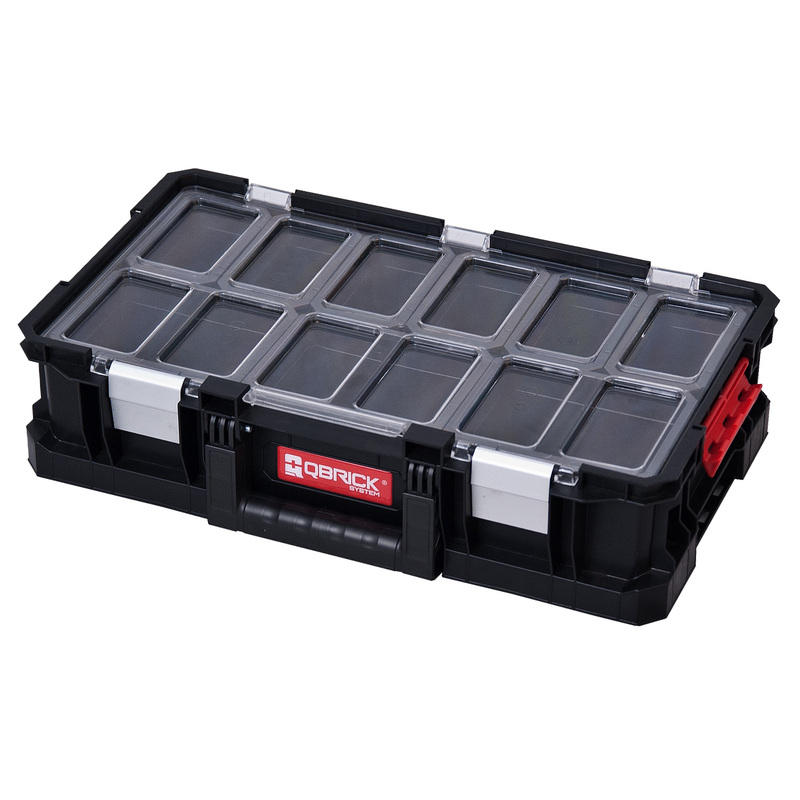 Modular tool box as a mobile base for building personalized sets of Qbrick TWO. Durable telescopic handle, metal, rubber-coated wheels ensure durability and excellent maneuverability. 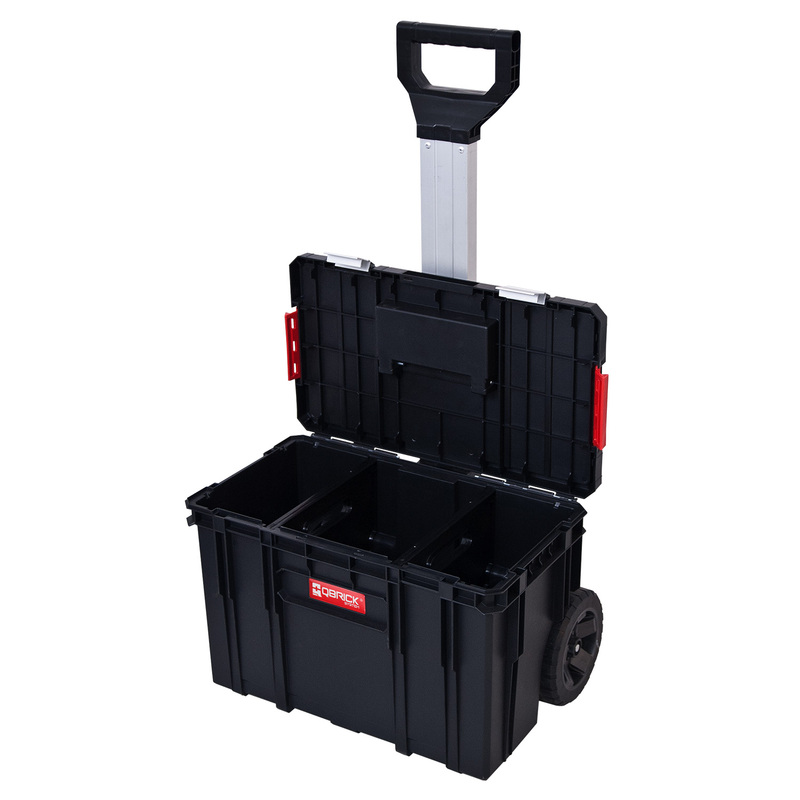 Tool box is equipped with two adjustable dividers for ease of maintaining order. 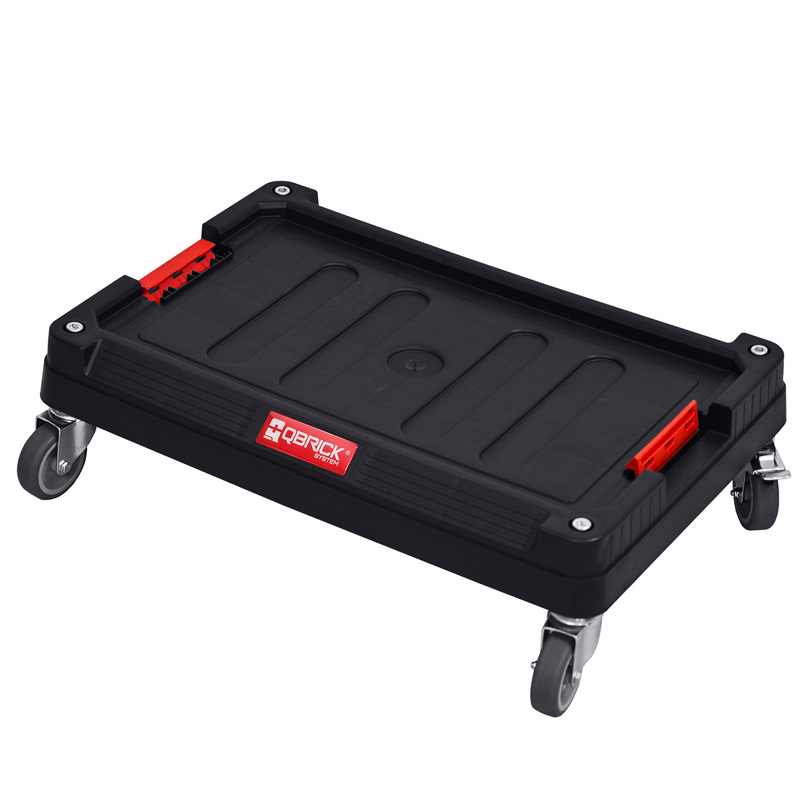 The Transport Platform is equipped with swivel wheels with brakes and a solid construction allowing a maximum load of 100 kg. The Transport Platform combined with other modules from the Qbrick TWO line (Box 100, Box 200) allows for the construction of mobile transport sets for use in the workshop, garage but also at the back of your house.